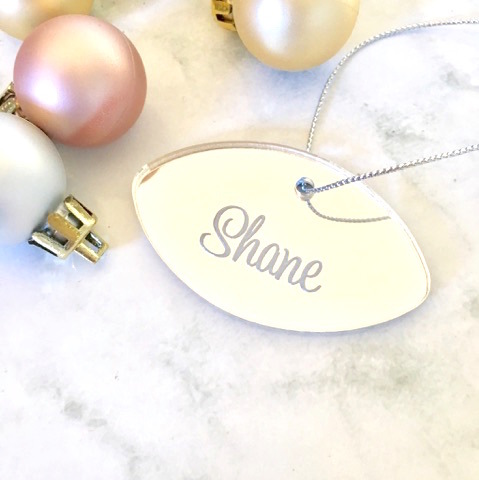 Create a truly personalised Christmas decoration by adding your name or family name to our personalised hanging acrylic Christmas ornaments. Name: Please add the name or name/surname, name/year in the appropriate box. Postage: All items will be posted in a rigid envelope. Please select Registered post if you wish to have tracking and insurance. Ollie's Room can not be held liable for damaged goods.